In 1746, two years before the end of the War of the Austrian Succession, Genoa was occupied by Austria. After this its political and economic power went into steady decline. 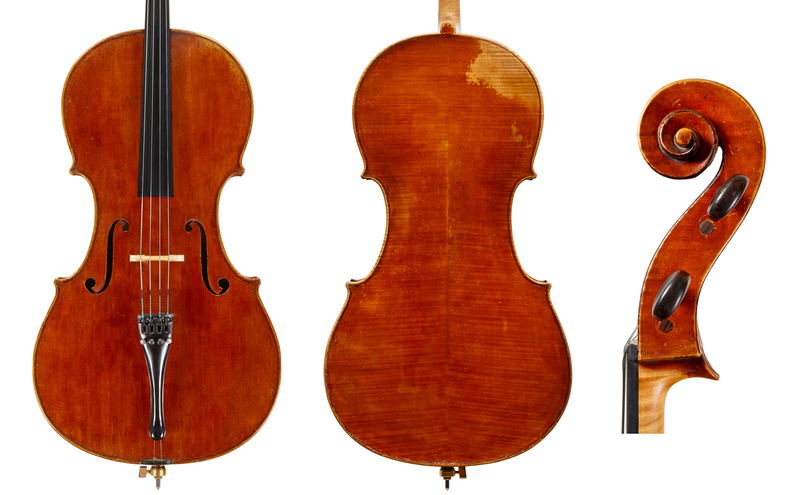 By around 1760 most of the city’s numerous but little-known violin makers, as well as more familiar ones such as Bernardo Calcani and Giuseppe Cavaleris, had died. 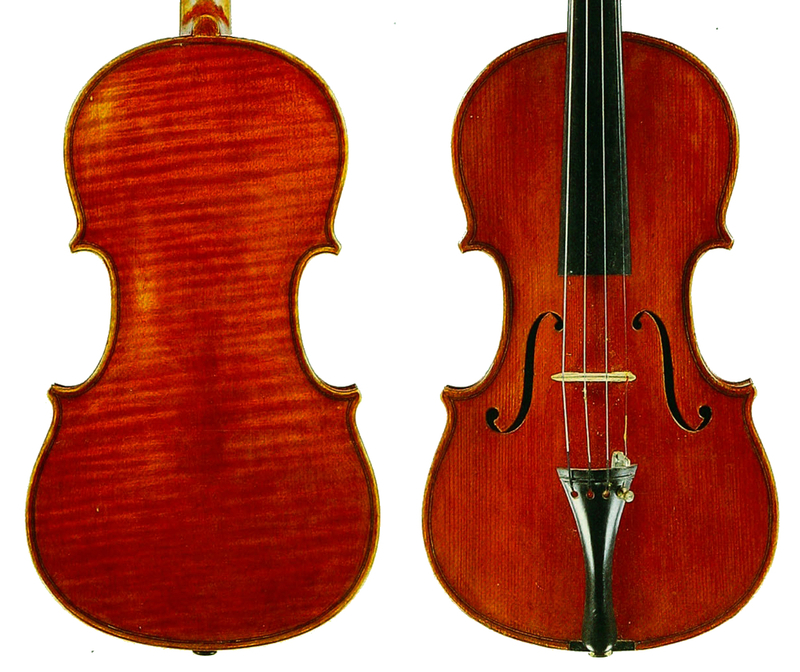 Genoa’s one remaining major violin workshop, that of Paolo Castello, remained active only until around 1780, when all regular production of quality violins ceased. It is an irony that shortly before Genoa’s second most famous son (after Christopher Columbus), Niccolò Paganini, was born in 1782, the city had entered the ‘dark ages’ in terms of its violin making. More than 40 years later the revival of interest in opera, which had led to the establishment of La Scala in Milan in 1778, finally reached Genoa with the inauguration in 1828 of the city’s first opera hall, the Teatro Carlo Felice. Encouraged by the lack of any decent local luthiers, a number of violin makers began to migrate to the city – a flow that continued for decades. The first to arrive, while the theater was still under construction in around 1826, was the Frenchman Pierre Pacherele, who resided there intermittently for a number of years. From the mid-1830s Ludovico Rastelli, a native of Piedmont, worked in Genoa mostly as a repairman; during the 1840s and 50s Antonio Gibertini of Parma made a few of his fine instruments in the city. Collectively, however, the Genoese instruments by these makers are rare and do not exhibit the unity of style necessary for their work to be regarded as a school. From the early 1850s Giuseppe Rocca began to spend time in Genoa, and he died there in 1865 (his reputation as a drunkard perhaps providing a clue as to why his body was found down a well) leaving his 17-year-old son, Enrico, to his own devices. Nicolò Bianchi also spent several years in Genoa in the late 1830s, but more importantly returned there for a further decade in the late 1860s to establish a dealership that included a good repair workshop. Personal work by Bianchi in Genoa is exceptionally rare (some doubt whether authentic examples exist at all), suggesting that repairing and selling instruments was the shop’s main activity. Nevertheless, perhaps Bianchi’s most significant achievement was the employment of various fine young makers, including Giuseppe Scarampella from Brescia and Riccardo Antoniazzi of Cremona and Milan. Notably, he trained a native of Casale Monferrato, Eugenio Praga, who took over his Genoa business in 1878, when Bianchi retired to Nice. That same year Rastelli died, leaving Praga and Enrico Rocca, both born in 1847 in Piedmont, to become the city’s main and perhaps only liutai. The two makers took time to begin violin making in earnest, however; before the early 1890s they spent their days either restoring or making plucked instruments, producing violins only occasionally. But new demand, both local and from abroad, gave them a motivation to harness their considerable skills as violin makers and they were soon able to breathe new life into their craft. Rocca, in particular, began making violins prolifically from then until his death. Thus, these two craftsmen inadvertently became the founding fathers of the modern Genoese school. Cesare Candi, who was yet another immigrant from Bologna, was to continue what Rocca and Praga had begun. 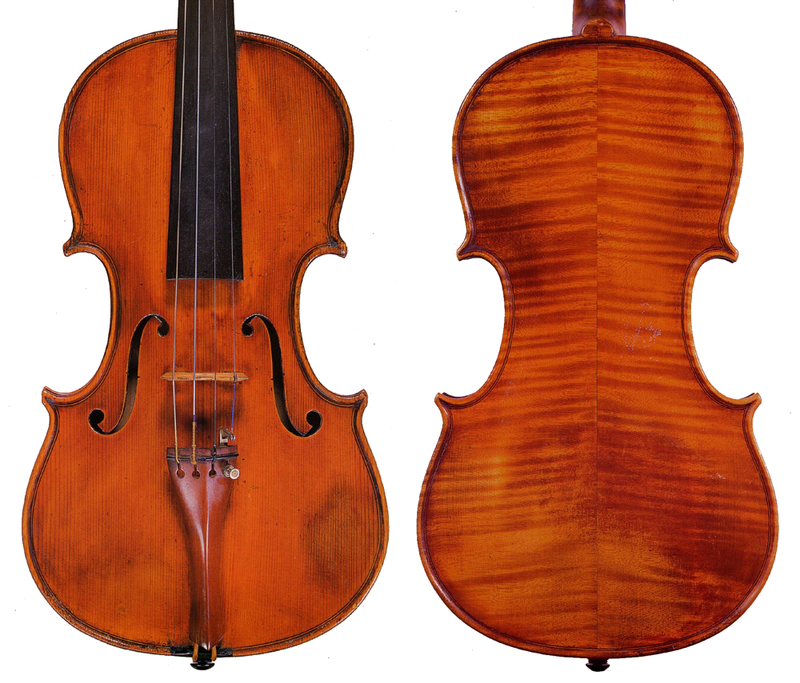 One of the finest makers of the 20th century, he exerted an important influence on much of the succeeding violin making in Genoa and its nearby regions. In Genoa his followers included his own elder brother, Oreste, and a number of other excellent local makers – Paolo de Barbieri, Giuseppe Lecchi, Lorenzo Bellafontana and Andrea Cortese. About 100 km away, Giovanni Battista Gaibisso of Alassio and Pietro Gallinotti of Solero, Piedmont, as well as Plinio Michetti of more nearby Savona, were all influenced by Candi to some degree. As a group these men represented a formidable force; most of them working in a unified, modern Genoese style, they left an important legacy in the wider context of the modern Italian school. Giuseppe Castagnino, an interesting and often fine Liguarian maker who worked 40 km down the coast in Chiavari, deserves a special mention: he learnt from Fiorini in Munich and, defying Candi’s influence, worked independently in a personal style more reminiscent of the work of C.G. Oddone. Like Rocca and Praga, Candi was a late bloomer in the making of violins. Born in Minerbio (near Bologna) in 1869, he joined his brother Oreste in the workshop of Raffaele Fiorini in 1884, where he briefly worked alongside Raffaele’s talented and influential son, Giuseppe. In 1888 Giuseppe left Bologna for Munich, and the 19-year-old Cesare followed Oreste to Genoa to work for the Barberis Brothers – a company specialising in the production and maintenance of plucked instruments. By 1892 the Candi brothers had opened their own workshop near that of Rocca. However, there is no evidence that they made violins over the next decade and Rocca and Praga still dominated the local market for new instruments. Instead the Candis continued to make skilfully decorated plucked instruments through the 1890s. Cesare married Rosa Castello in 1896 with whom he had three daughters – Amelia, Linda and Ofelia. It was likely through the acquaintance of Rocca and Praga that the Candis gradually gained a real interest in violin production, which they were poised to commence at the first opportunity. When Praga died in 1901, the Candis got hold of his tools and materials and probably began making some violin family instruments, although violins that are recognisably their own do not appear until several years later. Cesare attained a gold medal at the Milan Exposition in 1906, and in 1907 a diploma of honor in Bologna for a quartet. However, neither he nor his brother became truly prolific until after Rocca, too, died in 1915. 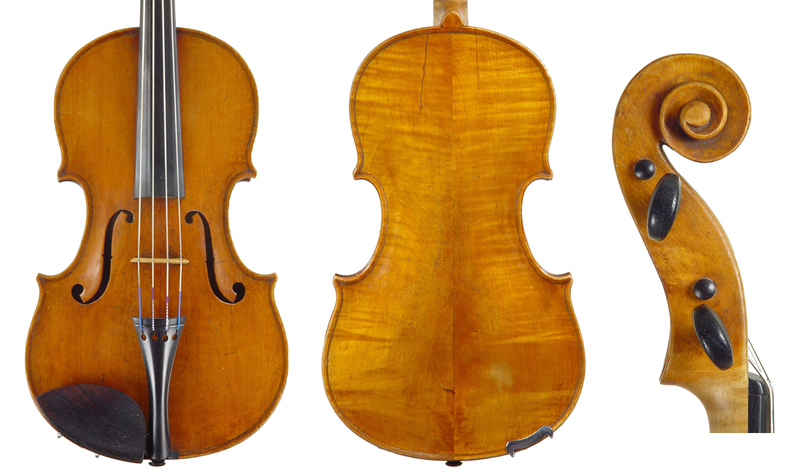 The brothers’ increased production meant they could capitalize on the void in Genoa’s violin making following Rocca’s death, despite the fact that this period also coincided with the difficult first years of the First World War. Cesare, a far more talented craftsman than his brother, was emerging as the leading violin maker in Genoa, having inherited from Rocca the position of curator of the Paganini ‘Cannon’ Guarneri ‘del Gesù’ owned by Genoa’s city council. He also attained gold medals for his instruments in the 1937 exhibition in Cremona. He was to remain the city’s premier violin maker until his death in 1947. In part 2 Dmitry Gindin looks at the work of the makers in Candi’s entourage.